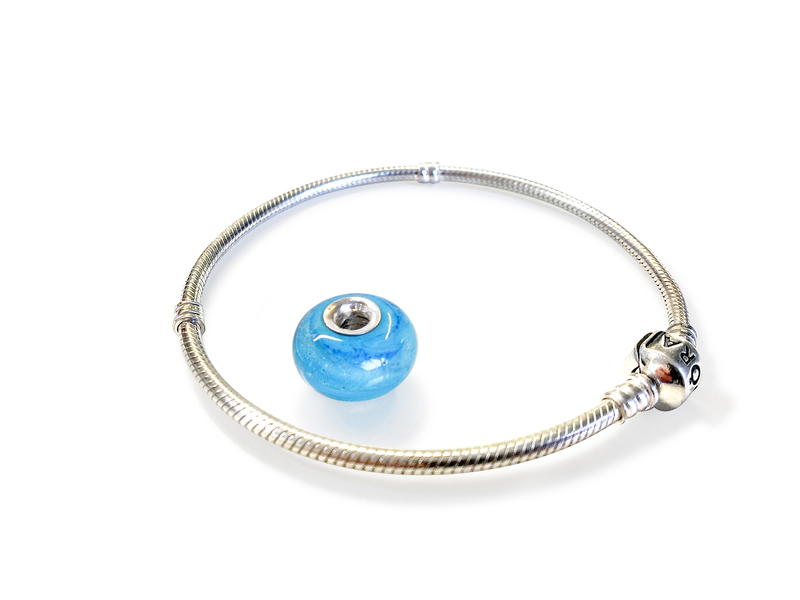 Are you considering having memorial glass jewellery made to remember a lost loved one? It’s safe to say that cremation glass jewellery isn’t for everyone. However, it can also bring a great deal of comfort to those who have lost someone special in their life, and I think it’s something everyone should have a chance to own. Will their loved ones’ ashes be safe? Who will be handling the ashes? 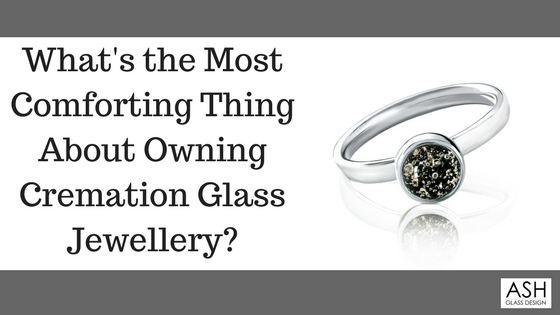 Below are the three main fears people are concerned about buying cremation glass jewellery. The good news is, these fears can often be overcome by following my advice as an experienced glassmaker who regularly crafts memorial glass jewellery and art. 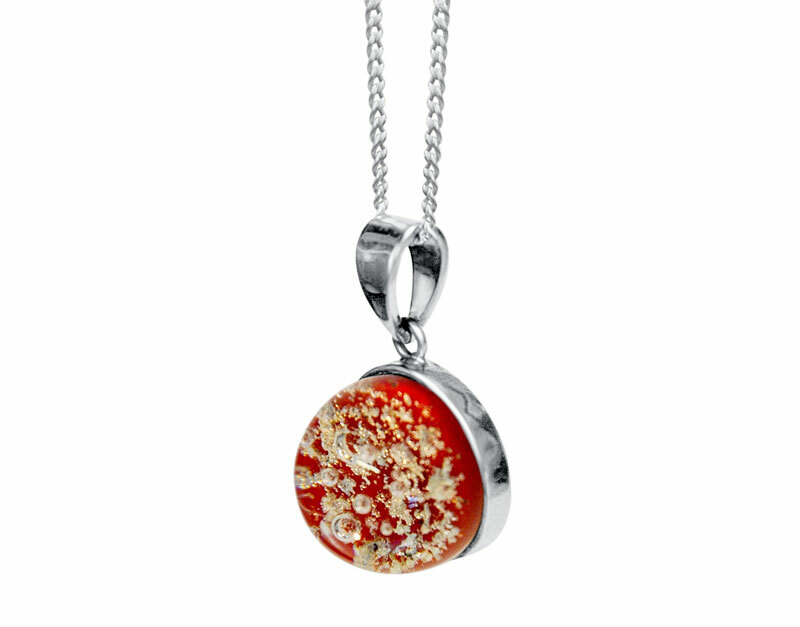 TIP: Here are 8 other things you should know about cremation glass jewellery. This is probably the no. 1 fear; in other words, fear of the unknown. People are often very worried about simply not knowing who is going to be handling their loved ones’ ashes, and whether they’re experienced or qualified enough for the job. This is particularly the case when ordering from a larger company which doesn’t necessarily specifiy who will be working on your jewellery. Thoroughly research your chosen company, and if possible, call to speak to them on the phone. From personal experience, I find this is the main thing that really helps many of my customers feel at ease. A good company should be able to tell you who will be working on your memorial glass jewellery, along with their experience and background. If you can speak to the artist directly, even better. What I mean by this is that once memorial jewellery is made, there’s no turning back; your loved one’s ashes will be forever immortalised in glass. This makes your decision a permanent one, and sometimes it may take people years to come to the decision to have something made (although the process only requires a teaspoonful of ashes). Take your time deciding on the right memorial jewellery product for you; be it a ring, necklace, charm bead or cufflinks. Find a style and colour that you feel you’ll be able to treasure forever, and if you’re unsure of whether or not you want an engraving, leave it for now. You can always take it to an engraver later, once you’d finalised the message you want. Finally, ordering cremation glass jewellery often involves having to send your loved ones’ ashes away in the post. Especially if the company you choose is not local. This can be a very stressful, scary thing to do, and I hate the thought of people waiting for weeks on end until their special piece of jewellery is sent back to them. If you do have to send ashes away, always use signed for post, or send via a courier that will track your ashes, so you know when they have arrived safely. Some smaller, more personal companies will even give you a phone call to say they’ve arrived – so check with them before you send. 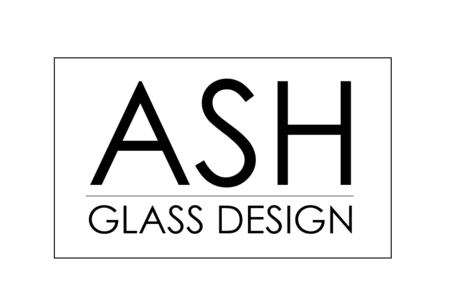 If you’re local to the area, or don’t mind travelling, some reputable memorial glass companies may even allow you to deliver your loved one’s ashes in person. I’ve personally had people travel from places such as Leeds and Aberdeen to ensure their loved ones’ ashes arrived safely. Finally, only make your order when you’re feeling emotionally ready to do so. We all cope with grief differently, so if it’s too painful even to part with a small amount of ashes, give it some time. I hope this blog post has been helpful when thinking about ordering cremation jewellery to celebrate the memory of a loved one. Memorial glass jewellery is something everyone should have the option to own, and can bring the wearer a great deal of comfort, even on the toughest of days. That’s why I wanted to address some of the biggest concerns above. Do you have any questions I haven’t answered about memorial glass jewellery? Please leave me a comment, or get in touch with me directly. I’m always here to help – and listen.